On First Take Fridays a number of authors around Meeple Mountain give short first takes on games that are new to us. This week we have takes on Tulip Bubble, Ground Floor, and Dark Side of the Mine. Tulip Bubble is a stunning game with a beautiful table presence. At a recent local convention, our game caught the attention of every person who walked by and had them all asking if it was Dutch or a game about gardening. 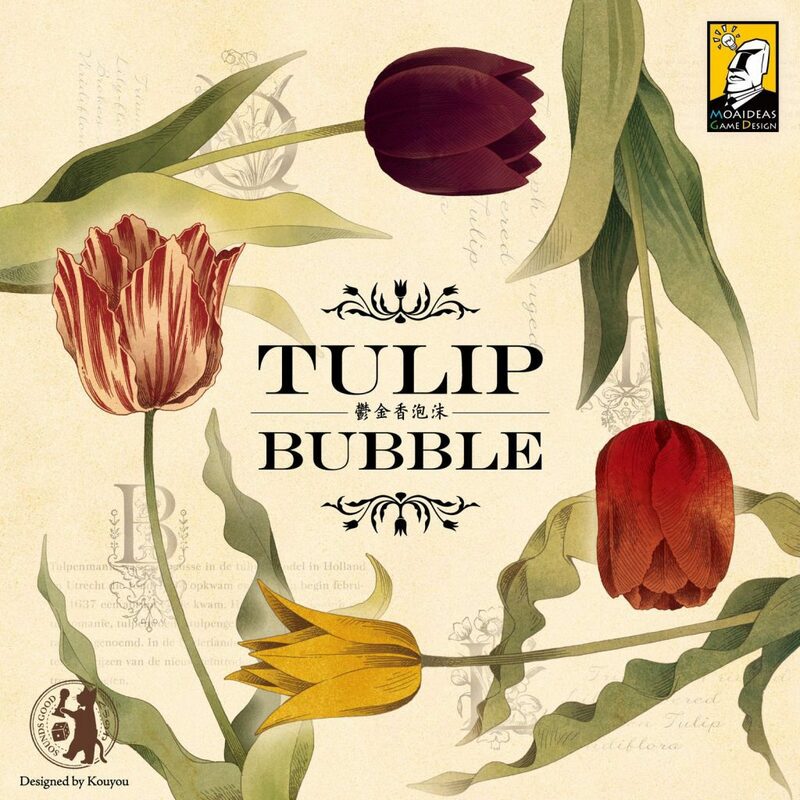 Tulip Bubble is actually an economic stock market game by Taiwanese publisher Moaideas Game Design (Mini Rails and the recent Symphony No. 9). You can imagine the look of intrigue and surprise whenever I told this to someone. Tulip Bubble casts players as Dutch investors in 1636 at the height of Tulip Mania, the world’s first major economic bubble. In this game, players are trying to earn the most money by buying and selling tulips. At the beginning of each round, the stock market experiences an event that could increase or decrease a tulip’s stock and, at the end of a round, tulip stocks will be adjusted based on the current demand. Players can anticipate (and mess with) the stock values because they are given a preview of the new tulips available for purchase in the following round. The game will end in one of two ways: when the market bubble bursts or if the Queen of Night tulip is purchased, whichever happens first. Tulip Bubble far exceeded the expectations I had going into the game. It is very accessible (except for the rulebook), the mechanisms felt clean and streamlined, and it has a good amount of depth to it. While I don’t typically enjoy stock market games, I let Tulip Bubble’s unique theme draw me in – and I’m so pleased I did. There are a good number of old games that are hard to find on my wishlist – Dilluvia Project, Reef Encounter, and Hab & Gut to name a few. 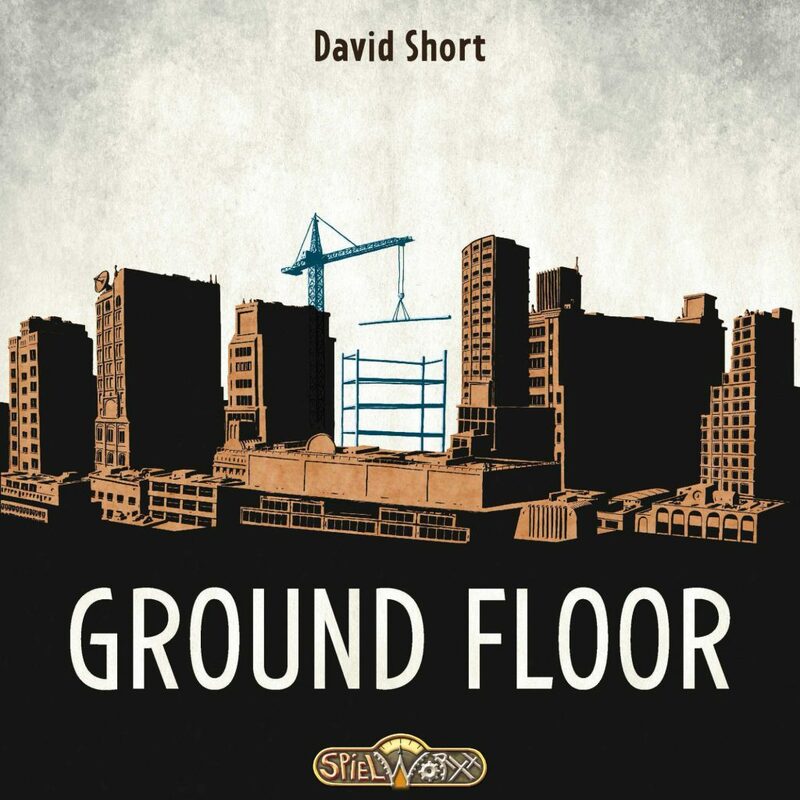 Lower down on my list was Ground Floor, a game from designer David Short and published by Tasty Minstrel games in 2012, but fortunately Spielworxx reprinted it this year. The goal of Ground Floor is to run the best company, and you’re the CEO. The core gameplay is built around a worker placement mechanism and each round begins and ends with important staffing decisions – deciding how many workers to hire. Rounds proceed by placing workers to market your business, producing goods to sell in retail, and adding floors to your building. In addition to scoring points, building floors from the ground up also provides you with additional actions to help you build a specialized engine. The first thing that stood out to me about Ground Floor was how tight the gameplay was. I’m a fan of games where resources are hard to come by, games like Agricola, Age of Steam, and Antiquity number amongst my favorite and I found Ground Floor to have an appealing tenseness to the gameplay. The second standout point was the engine building. Each player starts out with an individual player power and a large part of your success is dependent on how well you can develop a personal engine. My only complaints with the game are the rulebook needed editing and some of the graphic design choices were lacking (both staples of Spielworxx games unfortunately). My first play was two player and my opponent and I both lamented that we were interested in seeing the game played at higher counts. Dark Side of the Mine is from local publisher Flying Lemur Games, and first time designer Matt Haberfeld. 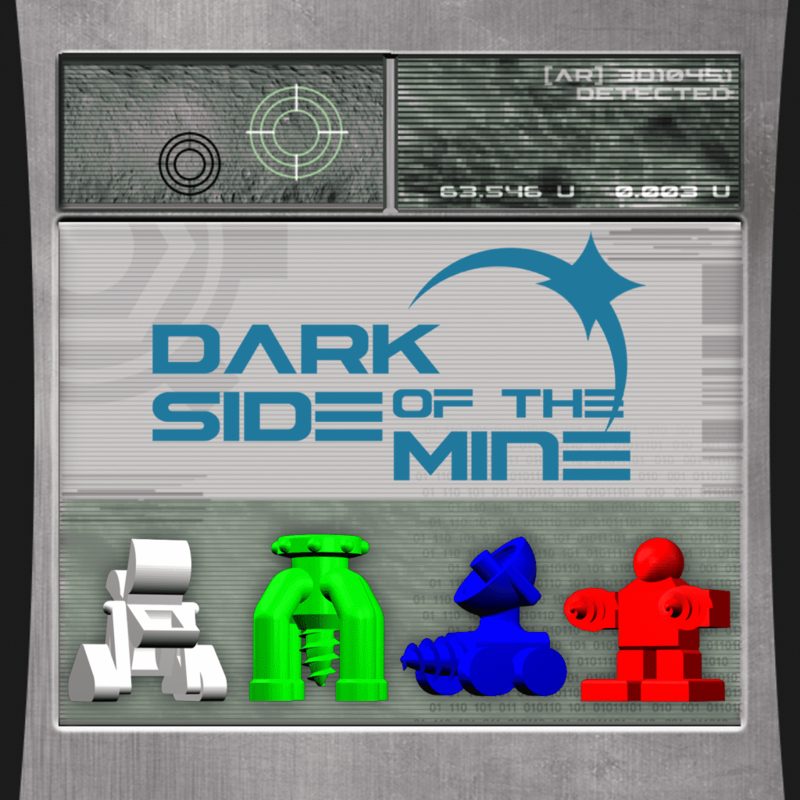 In Dark Side of the Mine, 2-4 players act as mining companies attempting to extract valuable ore from the surface of a cold asteroid. Play cards from your hand to a shared central play area and maneuver your mining bots to collect the most valuable ore while always trying to stay just one step ahead of the Sun’s umbra. I’d never heard of this game before last week, when Rick from Flying Lemur offered to demo the prototype of this upcoming Kickstarter game to me. Even though the components were rough, the gameplay was unique and interesting. In Dark Side of the Mine the light is your friend, but the dark is your enemy. Players are forced to continually be on the move, leapfrogging each other in a pell mell race to avoid the shadow well. If your bot is caught in the shadow then you lose communications with it until your next turn, preventing you from using it’s abilities. Because every player has 2 bots (and can earn a 3rd) it’s not debilitating, but it certainly hurts. I really enjoyed my play of this game and I’m interested in seeing how well it does during it’s campaign. It’s clever, and has some really cool things going on. Make sure to check it out if you get a chance.